14" Width x 25" Height, Can modify slightly based on actual pattern layout once received. Parts are sold individually to maximize adjustability. Assembly required. Freestyle Design 34A. Can modify slightly based on actual pattern layout once received. 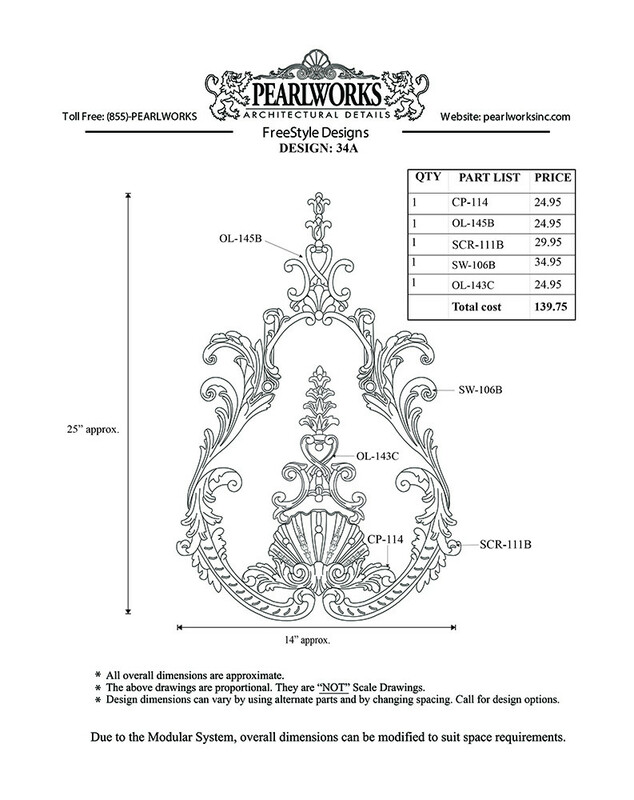 Pearlworks 'Custom Freestyle Designs' is a Pearlworks exclusive. Freestyle was created because it always seemed our client loved a certain part but wanted to know if it came longer, or taller. With freestyle we can create a design for any size or shape that is given to us. We are the only manufacturer in the world that has the modular system to do this quickly and easily. 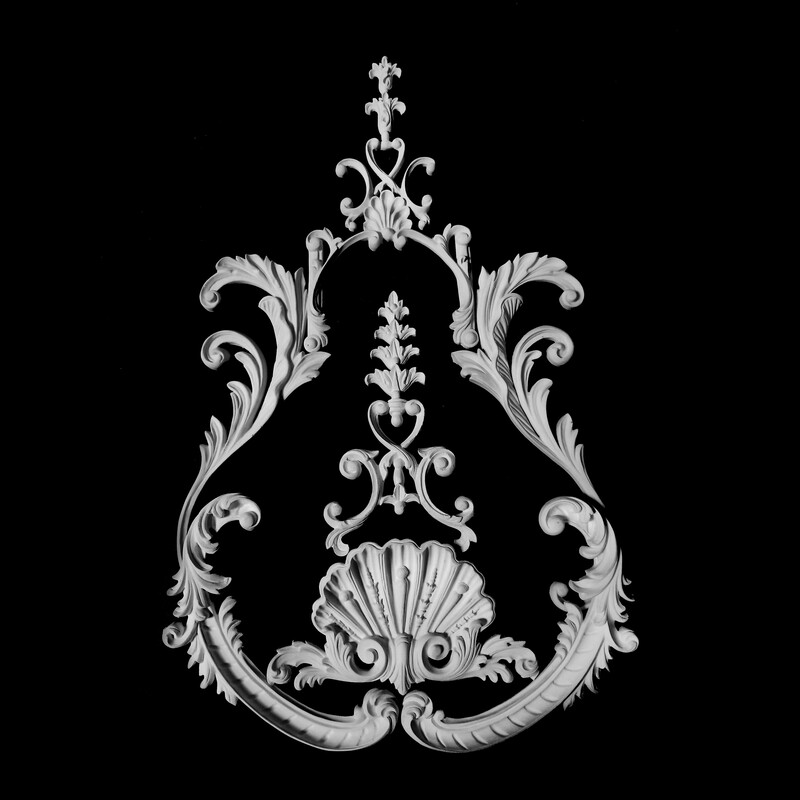 Pearlworks has many concept drawings on line for FREE. Concept drawings are a great way to get ideas on how to use these wonderful and unique products. Parts are sold individually to maximize adjustability. Assembly required.